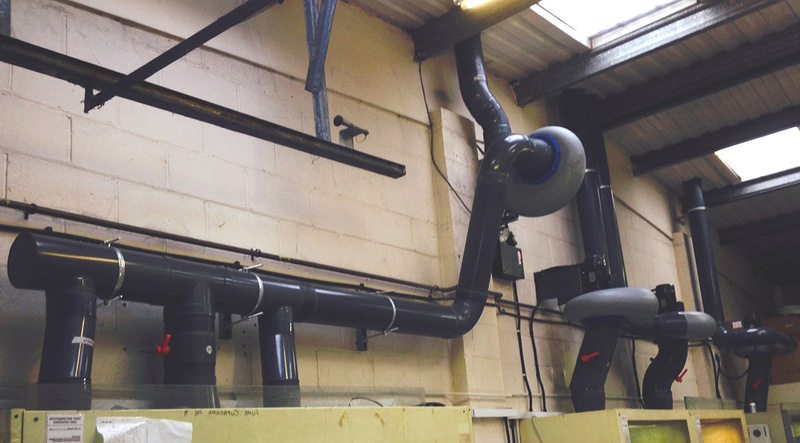 To remove existing perished and corroded ventilation equipment, and re-design, manufacture & install a Ventilation system to remove the fumes from the chemical processes within 4 X Fume Cabinets. 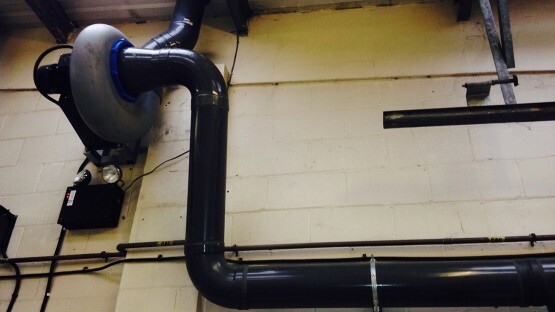 Having had their previous extraction system in place for around 8 years, the galvanised steel ductwork connections and steel extract fans had become corroded from the constant chemical fumes extracted through the system. We re-designed the connections from the fume cabinets from Polypropylene including balancing dampers. 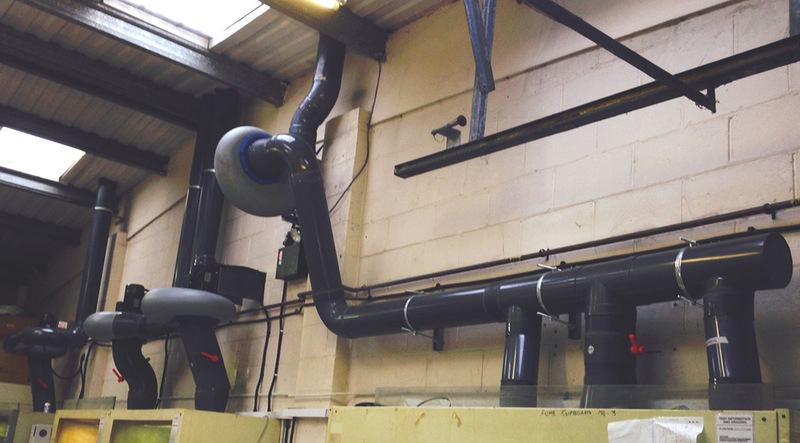 We also supplied and installed Polypropylene Extraction Fans at high level within the laboratory, all carried out without any ‘down time’ to the customer.